Please Help To Support Our Children! 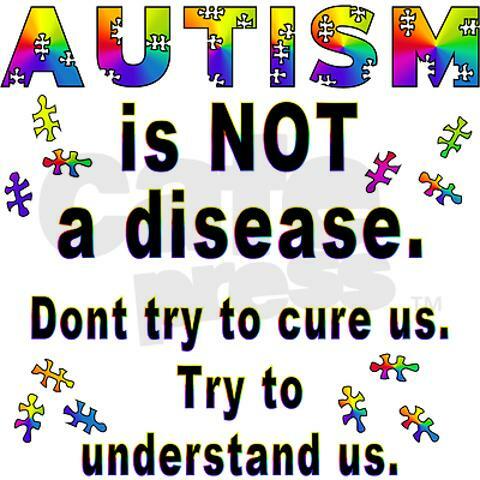 The Autism & Special Needs Children! « www.majidall.com – Being who you are and saying what you really feel! Please Help To Support Our Children! 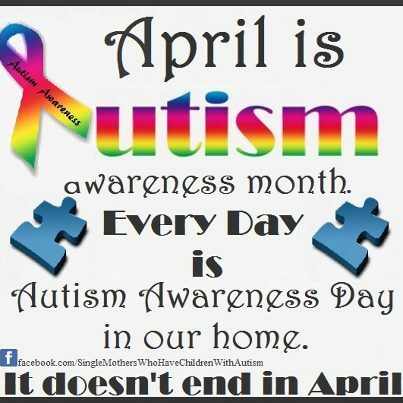 Our Autism & Special Needs Children! A	The Television Cartoon Series – Dubai – UAE! Abû Hurayrah relates that Allah’s Messenger (peace be upon him) said: “Whoever removes one of the hardships of a believing soul, Allah will remove from him one of the distresses on the Hereafter. I was watching these cartoon TV programmes beamed by Dubai Sama TV and they are always my Top Watchers – especially in The Holy Month of Ramadhan Fasting! 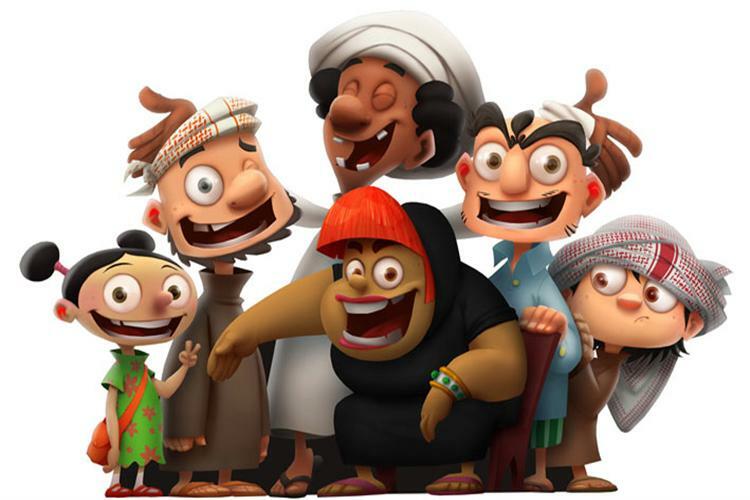 By Fanar Productions, a leading production company specialized in animated content, and Etisalat, the main sponsor of the seventh season of Shaabiat Al Cartoon. 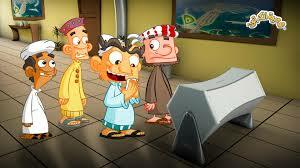 Haider Mohammed is the creator of the cartoon series Shaabiat Al Cartoon in Dubai UAE! From humble beginnings in his cartoons – he is now a famous and well-to-do UAE personality! That all comes from The Dubai Ruler personal involvement to see UAE talents are encouraged and promoted with material support and assistance – something we can all learn here! Shaabiat, a word that means “rural neighbourhood” in Arabic, follows the lives of a group of families and individuals living in a small Dubai neighbourhood. There are 24 characters from countries throughout Africa, the Middle East and the Indian subcontinent. Each episode focuses on different individuals and their quirky troubles. At the centre of the series, acting as anchors, however, are the characters Shambee and Bo Mhayer. The duo follow the tradition of all great comedy partners: they are from different sides of life but need one another to make sense of the world. Shambee could be the Emirati equivalent of the TV show Married With Children’s classic crank Al Bundy (who was played by US actor Ed O’Neill). Middle-class and disenchanted by his marital life, he is perpetually in search of respect but often falls short of winning it due to his dim-witted ways. Bo Mhayer is a true Bedouin: his rugged views are formed by the tough lessons of the desert, leaving him both confused by and slightly distrustful of Dubai. B	The Messenger (Facebook) Message! The Message came from a good friend asking me why I was not writing anymore my columns in The Oman Daily Observer – Between Us Only! Also At My Workplace! The columns were killed off in August 2014 by more a ‘technical hitch’ per se than anything else. I told the guy I have my websites where I now put in my articles and about my books – but that too I have now given up seeing there is no material support nor assistance – but just pain, heartaches and the feelings of being let down, betrayal and wasted efforts and loyalties – and instead getting beatings and fear – and so much hurt and pain – that even I actually cry sometimes by what is happening to me now! See my Posts in Social Media recently – Feeling so sad today – even if it is my Birthday! Feeling very sick and still ailing in life! So he beseeches me to continue writing – and do it as a good deed in my life to get good deeds from Allah God – for ‘positively highlighting social issues that need more care and attention in The Society – even if the monetary and other support are missing – and you feel left out open in the cold – not only not recognized but also facing extreme hardships and difficulties – and even if people have short memories about you and your achievements (the Dubai Fanar Story!) – but they may have longer memories for other things! Then he pleads to me – via Messenger – Please write about Special Children – Down Syndrome and Autism – I have a Special Child – she is having Down Syndrome – and I gave up everything in my life to try to give her a normal life and against all odds! It is a wonderful experience even if painful – and here they are now (slowly being) accepted and inter reacting with nature (and Society)! Last few years back I wrote a personal letter for one friend to a British CEO – where he was facing termination for being habitually late – because he too had a child with severe bouts of Down Syndrome! Whether we like to accept it or not – but these Europeans (Americans) are More Muslim than what we propagate to be – because the CEO was more understanding and compassionate than our own – sadly and tragically too! So let us all learn a bit here! So hopefully there could be more acceptance, kindness, forgiveness, compassion and understanding – especially in this Holy Month of Fasting of Ramadhan! You can always get more information and details in The Social Media! Last few months back – we were invited to one family and saw how they were scolding their child with Down Syndrome because the boy spilt some juice on their new carpet new hose! It hurt me so much – and left early from the place! This may shock you! Please do visit! 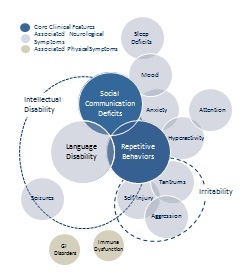 As illustrated by the graph on the left, the basic symptoms of autism are often accompanied other medical conditions and challenges. These, too, can vary widely in severity. •	Autism is one of the fastest-growing developmental disorders in the U.S.
•	Of this, only $169 million goes directly to autism research. This represents 0.55% of total NIH funding. 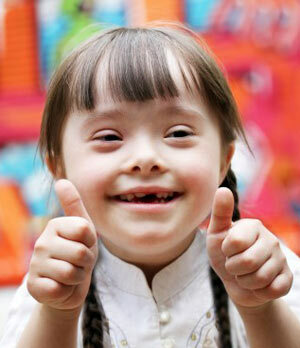 In recent years, there has been an increase in the number of children with Down syndrome who are being diagnosed as having autism or autistic spectrum disorder. These children are then referred to as having a ‘dual diagnosis’ i.e. two co-existing conditions. However, it is not easy to diagnose autism in children who already have a learning disability and there is not clear agreement on the numbers of children with Down syndrome who do have autism or features of autism. 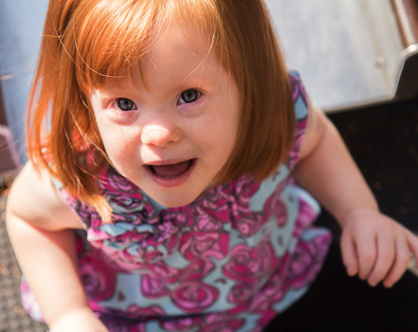 Some authors argue that the diagnosis is missed because children with Down syndrome are thought to be sociable and, if this is true, some children and their families could be missing out on treatment and services they might benefit from. 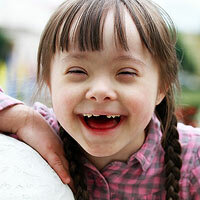 Others are concerned that there may be a tendency to over-diagnose autism in children with Down syndrome. This could lead to changed and lowered expectations for children’s progress as well as distress for families. “Special Needs” is an umbrella underneath which a staggering array of diagnoses can be wedged. Children with special needs may have mild learning disabilities or profound cognitive impairment; food allergies or terminal illness; developmental delays that catch up quickly or remain entrenched; occasional panic attacks or serious psychiatric problems. The designation is useful for getting needed services, setting appropriate goals, and gaining understanding for a child and stressed family. 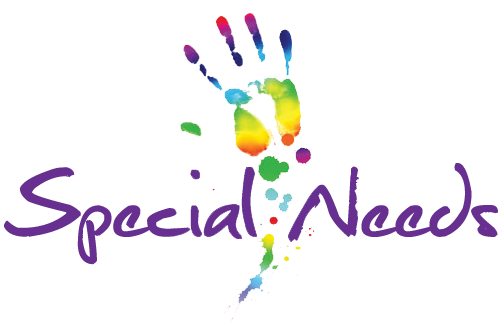 “Special needs” are commonly defined by what a child can’t do – by milestones unmet, foods banned, activities avoided, experiences denied. These minuses hit families hard, and may make “special needs” seem like a tragic designation. Some parents will always mourn their child’s lost potential, and many conditions become more troubling with time. Other families may find that their child’s challenges make triumphs sweeter, and that weaknesses are often accompanied by amazing strengths. Children with behavior issues don’t respond to traditional discipline. With diagnoses like ADHD, Fetal Alcohol Spectrum Disorder, Dysfunction of Sensory Integration, and Tourette Syndrome, they require specialized strategies that are tailored to their specific abilities and disabilities. A child’s problems with anxiety or depression can sneak up on parents; problems withattachment may smack them right in the face. Living with a child with mental health issues can put family members on a roller coaster of mood swings and crises and defiance. 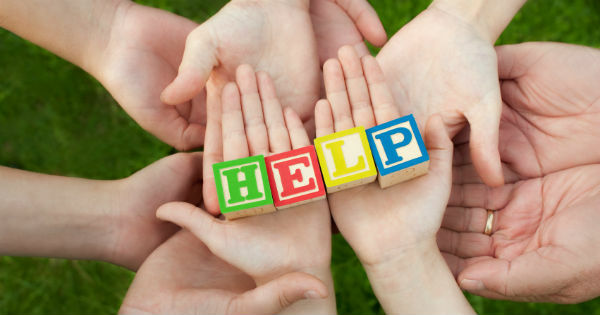 Parents have to find the right professionals to help, and make hard decisions about therapy, medications, and hospitalization. The consequences of missed clues and wrong guesses can be significant. 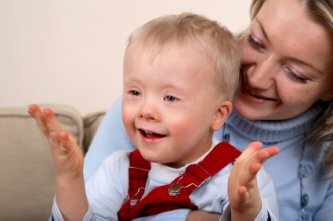 Although every special-needs child is different and every family is unique, there are some common concerns that link parents of challenged kids, including getting appropriate care and accommodations; promoting acceptance in the extended family, school and community; planning for an uncertain future; and adjusting routines and expectations. Parents of children with special needs are often more flexible, compassionate, stubborn and resilient than other parents. They have to be. Please also drive more carefully this Holy Month of Fasting of Ramadhan.